Tyler Honeycutt is the suspect of firing a gun at police. 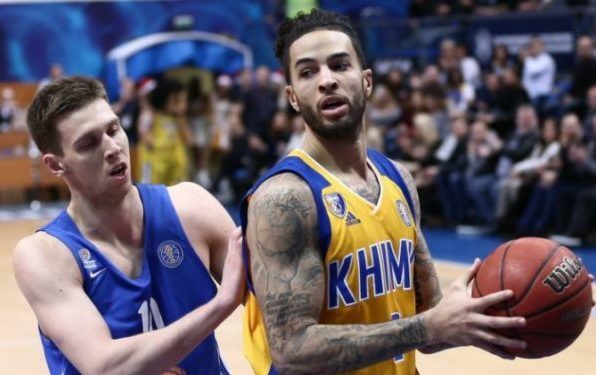 Khimki Moscow forward Tyler Honeycutt is allegedly a suspect of shooting a gun at police in Los Angeles, USA. According to ABC7, a former UCLA and NBA player at his mid-20s barricaded himself after firing a gun at police in the area of Riverside Drive and Tyrone Avenue at Sherman Oaks of Los Angeles. According to several reports, this player is Honeycutt. A former NBA and UCLA basketball player barricaded himself inside a Sherman Oaks residence after firing a gun at police Friday night. The man is said to be in his mid-20s. The shooting occurred in the area of Riverside Drive and Tyrone Avenue around 5 p.m., officials said. Authorities received a phone call from the man’s mother, who said her son was acting erratically. When officers arrived, the man opened fire at the officers, who returned fire. No officers were injured in the shooting, authorities said. We can confirm that during the initial encounter the suspect fired a shot out of the residence and officers returned fire. No officers were injured and it’s unknown if the suspect was struck. This is still an ongoing barricaded situation with SWAT officers on scene.